Juliet B. Schor studies trends in working time and leisure, consumerism, the relationship between work and family, women’s issues, and economic justice. Since 2011 Schor has also been researching the sharing economy, including both non-profit community initiatives (makerspaces, timebanks) and for-profit platforms like Airbnb, TaskRabbit and Uber. 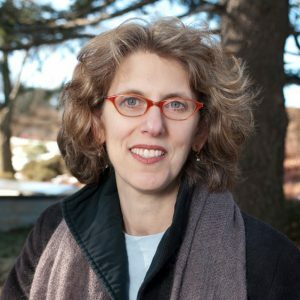 She was a fellow at the John Simon Guggenheim Memorial Foundation in 1995-1996 for a project entitled “New Analyses of Consumer Society.” In 1998 she received the George Orwell Award for Distinguished Contributions to Honesty and Clarity in Public Language from the National Council of Teachers of English. In 2006 she received the Leontief Prize from the Global Development and Economics Institute at Tufts University for expanding the frontiers of economic thought. Schor has served as a consultant to the United Nations and the World Institute for Development Economics Research (part of the United Nations University). She is a former trustee of Wesleyan University and a former fellow of the Brookings Institution. She is co-founder and co-chair of the Board of the Center for a New American Dream, co-founder of South End Press, and the Center for Popular Economics. Schor has lectured widely throughout the United States, Europe, and Japan to a variety of civic, business, labor and academic groups. She appears frequently on national as well as international media, and profiles on her and her work have appeared in scores of magazines and newspapers. She is the author of Plenitude: The New Economics of True Wealth (2010); Born to Buy: The Commercialized Child and the New Consumer Culture (2005); The Overspent American: Why We Want What We Don’t Need (1999); and The Overworked American: The Unexpected Decline of Leisure (1993). She is co-editor or co-author of Sustainable Planet: Solutions for the 21st Century (2003); Do Americans Shop Too Much? (2000); The Consumer Society Reader (2000); and The Golden Age of Capitalism: Reinterpreting the Postwar Experience (1992). Schor offers models for action—from what the individual family can do to initiatives that put pressure on corporations. In Plenitude she presents an innovative vision for how to shape a new, sustainable, and ultimately more fulfilling economy. Juliet Schor received her undergraduate degree from Wesleyan University and her Ph.D. in Economics from the University of Massachusetts, Amherst. She has taught at Williams College, Barnard, Harvard, and currently Boston College, where she is Professor of Sociology. She is an occasional faculty member at Schumacher College. Contact Juliet Schor about speaking terms and dates.